. A select group of West Coast antique dealers sell fine silver, hollowware, flatware, jewelry, collectible books, fine art, glassware, vintage clothing, toys and small furniture. Friday and Saturday from 10am-5pm and Sunday from 11am-4pm. 146 12th Street at Central, Pacific Grove. $8 admission fee and $10 for lunch. Shakespeare&apos;s tragedy comes to life at the Paper Wing Theatre this weekend. The theatre takes MacBeth&apos;s original storyline and mixes in a fresh new approach starring Patrick Golden and Penelope Morgan. Friday and Saturday at 8pm, 320 Hoffman, Monterey. $22. Comedians Robert Duchaine and Shanti Charan stop by Planet Gemini this Friday and Saturday for a hilarious stand-up act. Stay for karaoke or the After Party where local DJs mix up the latest hits. Friday and Saturday from 8pm-1:30am, 2110 Fremont Street, Monterey. $10. 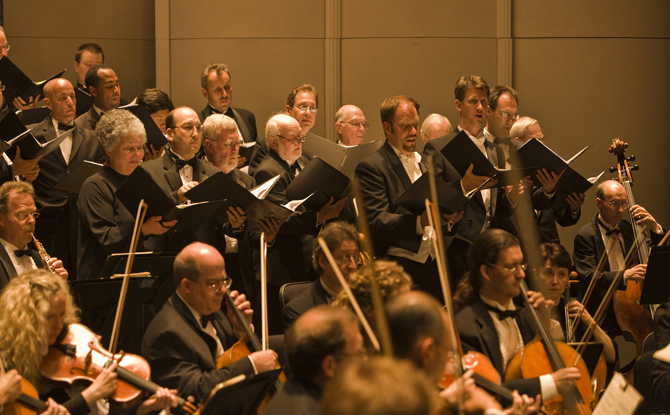 Carmel-by-the-Sea becomes a classical music lover&apos;s paradise for the next fifteen days as the Carmel Bach Festival kicks off on Saturday, July 13th. The entire festival is full of live performances, pre-concert talks and open rehearsals at various venues throughout the area. July 13-27. Carmel-by-the-Sea. Various ticket prices. Jazz saxophonist Eric Marienthal puts on a show tonight at the World Theatre as part of the CSU Summer Arts Program. He has recorded multiple CDs, including Grammy Award-winning discs with Chick Corea, and his own Oasis CD which hit the Top 5 on the Billboard Contemporary Jazz Chart. 7pm, 100 Campus Center, Seaside. $10, $15 for students and seniors. Join Peter Hay Golf Course in beautiful Pebble Beach® for a turn of the century golf experience-with hickory-shafted clubs and balls of yesteryear for the Hickory Sticks Invitational. The 9 hole, 2 person better ball event includes hickory sticks clubs, tournament balls, commemorative photo, and complimentary delicious fare served throughout the day at the Watering Hole. 8:30am-5pm, 1700 17-Mile Drive, Pebble Beach. $125. Take a step back in time at the Monterey County Fair & Event Center today as Gold Coast Hot Rods show off their stuff. This car show is open to cars 1978 and older with music, a 50/50 raffle and a poker walk! 9am-4pm, 2004 Fairgrounds Road, Monterey. Free event. 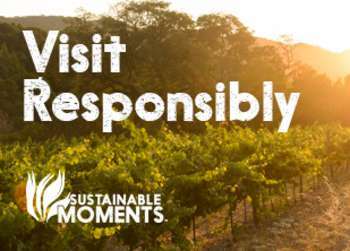 Choose from two hikes today offered by the Monterey Peninsula Regional Parks District. The Fabulous Ferns and Flowers Hike leaves from the East Garzas Trail at Garland Ranch for a 3 mile hike through the Garzas Canyon. The Palo Corona Birding Hike leaves from the Palo Corona Barn and will be on the lookout for both resident and migratory birds. Don&apos;t forget to bring, water, snacks and to wear good walking shoes. 10am. Free event. Get outdoors in Carmel Valley&apos;s sunny fields for a Flower and Herb Walk at Earthbound Farms. Participants will leave with a bounty of fresh flowers and herbs and tips on how to use their harvest.10am-12pm, 7250 Carmel Valley Road, Carmel. $15 for adults and $5 for children under 12. Take part in Bernadus Lodge&apos;s Lavender Harvest Celebration today. Over 1,000 lavender plants are in full bloom for your nostrils enjoyment. The celebration includes a grand lavender inspired buffet lunch paired with newly released Bernardus wine. Guests will also leave with a bundle of fresh cut Bernardus lavender, recipes and their custom blended lavender Ajne perfume to celebrate the blooming local landscape. 11am-2pm, 415 W. Carmel Valley Road, Carmel Valley. $115. The Del Monte Shopping Center welcomes families for Kids in Motion Day. This free community event features an array of exciting activities for kids of all ages, including a baby animal petting zoo, game tables, story time, coloring tables, face painting, pony rides, prizes, singing, dancing, and more! 11am-3pm, 1410 Del Monte Shopping Center, Monterey. Free event. Along Came Betty sets up at the Monterey Bay Aquarium for tonight&apos;s Evenings by the Bay. Guests will enjoy light appetizers, wine tastings and great music! 6pm-8pm, 886 Cannery Row, Monterey. Free with aquarium admission. Get ready to kick off California Rodeo Salinas&apos; "Big Week" with the Kiddie Kapers and Colmo del Rodeo Parades. Oldtown Salinas will be lit up with lighted floats, livestock, and wannabe cowboys and cowgirls. The Kiddie Kaper Parade begins at 6:30pm and the Colmo del Rodeo Parade begins at 8pm. 6:30pm, Main Street, Salinas. Free event. Dance the night away to rock and roll covers and originals with The Lightfighters and Spero tonight at the Mucky Duck. 8pm, 479 Alvarado, Monterey. Free event. Things get folksy at the Fernwood Tavern tonight. The North Pacific String Band stops by for a night full of songs on the mandolin, banjo and fiddle. 9pm, 47200 Highway One, Big Sur. Free event. The energetic bunch of Paige Too! play today at the Big Sur River Inn. Stop on by the outdoor deck for great music, food and lounging riverside! 1pm, 46840 Highway One, Big Sur. Free event. 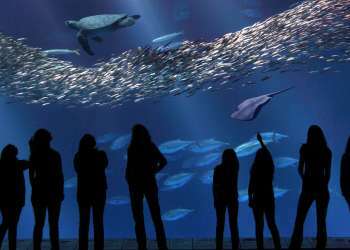 The Monterey Bay Aquarium stays up past its bedtime during tonight&apos;s Evenings by the Bay. Jazz saxophonist Roger Eddy and his friends play relaxing tunes perfectly paired with the aquarium&apos;s exhibits and light refreshments. 6pm-8pm, 886 Cannery Row, Monterey. Free with aquarium admission. Just need to dance? Hit up Planet Gemini tonight for a night full of salsa music and dancing. Salsa classes are also available to those just getting started. 9pm-1:30am. 2110 Fremont Street, Monterey. $5-$25.